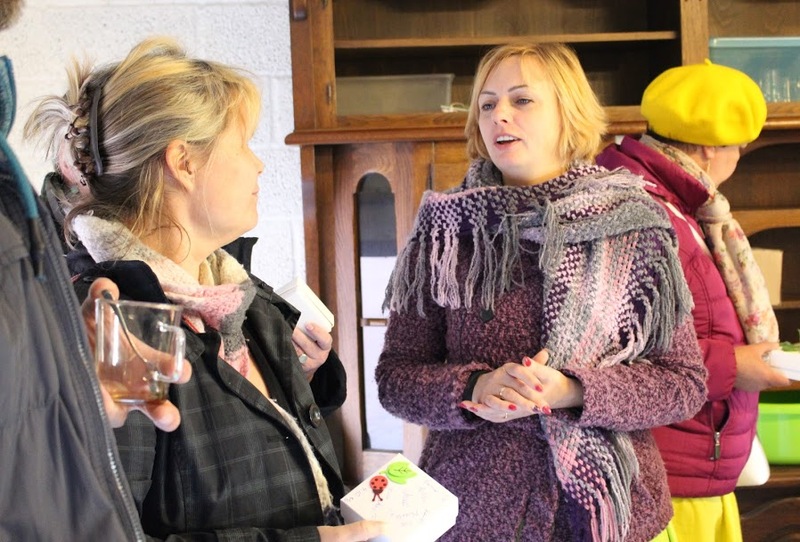 The following is a summary about our activities with guests Jaana and Miina from Finland, Trademark Hupako. Their visit was inspiring and we hope to make concrete cooperation plans after my visit to Finland. There was a Handicraft Fair from 14th to 16th of April in Tallinn at the Song Festival Ground. Jaana Klami and her daughter arrived at the Fair starigt from the afternoon ship from Finland. We had until six in the afternoon to look at the expositions. It was a thorough review about our handicraft and how I represent my enterprise Lillemantel. The fair went very well. My guests had a chance to see how my unique work found new owners. We arrived at Jaanioja Handicraft Farm only in the evening, it was already past seven o’clock. I showed my work and our action plan for the next days. Leaders of Estonian National Art and Handicraft Union Liina Veskimägi and Liivi Soova visited Rakvere and Lääne-Virumaa. The purpose of this visit was to meet local art-and handicraft people and to give information about Handicraft Union actions and plans. We participated there at the Creativity Centre of Rakvere, Tallinn street 18 a, for two hours. The hostess of the Creativity Centre Jule Käen-Torm told about her actions and guests from Tallinn gave us information after that. After that we had a chance to visit different enterprises and workshops. We visited Monika Uldrich`s workshop at Tallinn street 60, Handicraft Salon Virumaa Pikk street 16, Lõnga-Liisu workshop Tartu road 11, Pajusti. We also looked at Jaanioja Handicraft Farm’s undertakings. Over lunch we discussed handicraft shops problems, which we have to deal with – quality, mark-up with prices and factors which influence our sustainability. Jaana told how her handicraft shop`s work is being organised. She took contacts from our entrepreneurs and she thought it was possible to order things from them. 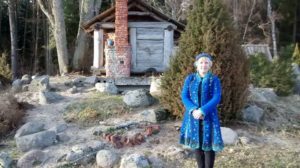 Before lunch we visited the infocentre of the National Park of Lahemaa, we also stopped at Sirje Nõmme`s Handicraft Farm`s small shop and looked at the Manor of Palmse. After lunch we looked at Sagadi Manor and Vihula Manor. Specially we looked at handycraft souvenires and how the information about the masters was being reflected. Then we visited the Sea Museum of Käsmu where its host Arne Vaik showed us unusual for a sea museum old female handicraft – embroidery and things decorated with lace. In the evening we discussed my visit to Finland. We found that the best time for that would be from 25th to 28th of August, there is an Old Farmhouses Day at Loviisa then and handicraft shops are opened, also there will be a Handicraft Fair. I will take my work with me, if possible, to introduce it there. Over breakfast we discussed cooperation possibilities and two actions popped up. 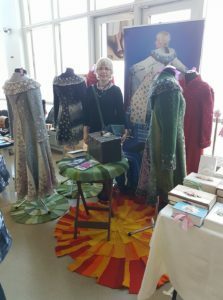 Jaana thought that everything she saw had been interesting, but all this should be shown to small groups interested in handicraft, who could also participate at a course there, called „Patchwork from knitwear“. A challenge of unique production product development in small amounts, especially for Finnish market, seemed interesting to me. But for that we should find helpers. On our way back to Tallinn we visited the Wool Factory of Raasiku. Turned out that this enterprise is a cooperation partner for both of ours. In conclusion: this exchange can grow into cooperation, which will became more specific after my visit to Finland.